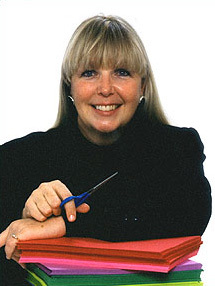 Dinah Zike is a nationally renowned author, educational consultant, and lecturer, and has invented hundreds of educational manipulatives (graphic organizers) that are used internationally by educational publishing companies and consultants in their own publications, programs, seminars, and curricula. Dinah’s Foldables are an exclusive feature of McGraw-Hill textbooks. Dinah has developed over 150 supplemental educational materials used in homes and classrooms nationally and in English-speaking countries around the world. To allow her time to create new learning tools, she established the Dinah Zike Academy in Comfort, Texas, to train a new generation of educators in the effective use of three-dimensional, interactive graphic organizers.